Dazzle & Design, LLC - TABLE SETTING / Table Talk Learn How to Tansform Your Table into a Spectacular Tabletop Setting... Design your table setting with Posh Ambiance ...Theme Ideas for Parties and Events...Win Gifts and Prizes by Hosting A Tabletop Party with your friends in your very own home...Our Tabletop Transformation' Class titled - How To Set A Spectacular Table is now being featured Live in Los Angeles and Registration will Open in Feb. 2018 Articles Written by Linda Patterson include How to Set A Spectacular Table 6 Ways to Make Your Table Setting Dazzle- 5 Ways to Embellish Napkin Rings See Articles Below Please send us your Spectacular Table Setting Challenges~Suggestions and Questions! Your Questions, Challenges, and Suggestions may be posted on our Blog! You can win Gifts & Prizes, Click Here to go to our Contact Page and submit your questions, suggestions, and challenges Now! 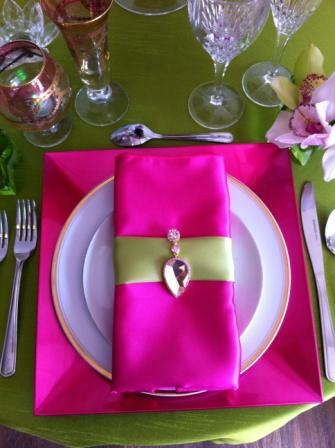 Please send us your Spectacular Table Setting Challenges~Suggestions and Questions! Your Questions, Challenges, and Suggestions may be posted on our Blog! You can win Gifts & Prizes, Click Here to go to our Contact Page and submit your questions, suggestions, and challenges Now! 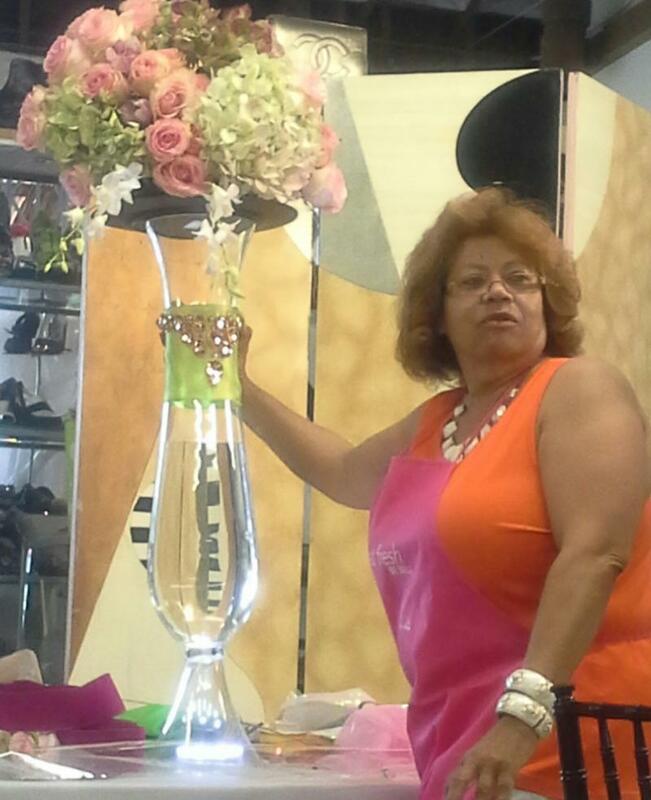 Here In Class, I'm showing you how to elevate your centerpieces on a very tall vase as to not abstruct the view of the guest - The vase does not have to be this tall, it can be set on top a cake plate or a medium size vase turned upside down - a bubble bowl, a sturdy box draped with fabric, you can use a punch bowl, a gumbo pot, and drape with fabric, Get the idea? You'll learn all this and so much more in my Table Setting Class...It's only $65, for floral designs techniques, theme table settings, and more...Register Now! Decide what kind of ambiance you want to create for your guest. How impressionable do you want your table set; what kind of experience do you want you guest to feel and what do you want them to remember most about your table ? Glamour... Adventure...The Jewels of the Table or the Crown itself? The occasion will help you determine if you want to 'theme' the table or design with Elaborate Elegance. Decide on a color scheme. Creams and gold are elegant.They're also Safe! Explore with various themes and colors. Spectacular isn't safe...it's WOW. It's OMG look at this room!!! Is that a !!!!!!!!. It's ...No she did'nt! Design your table to tell a story and be part of your entertainment. If you just returned from a fabulous trip to Africa, you'll want your guest to share in your adventure! An elephant, lion, or tiger will make a fabulous centerpiece...this is what I consider the Crown of the Table. Pay meticulous attention to the details. Think Concept! What story is your table going to tell? Napkin rings should Pop in color and theme or be dazzling in design like rhinestones, or an exquisite broach, embellished wired ribbon, or an ornament that ties in with your theme. Chair covers and linens should be elegant in fabrics, rich in textures and colors. 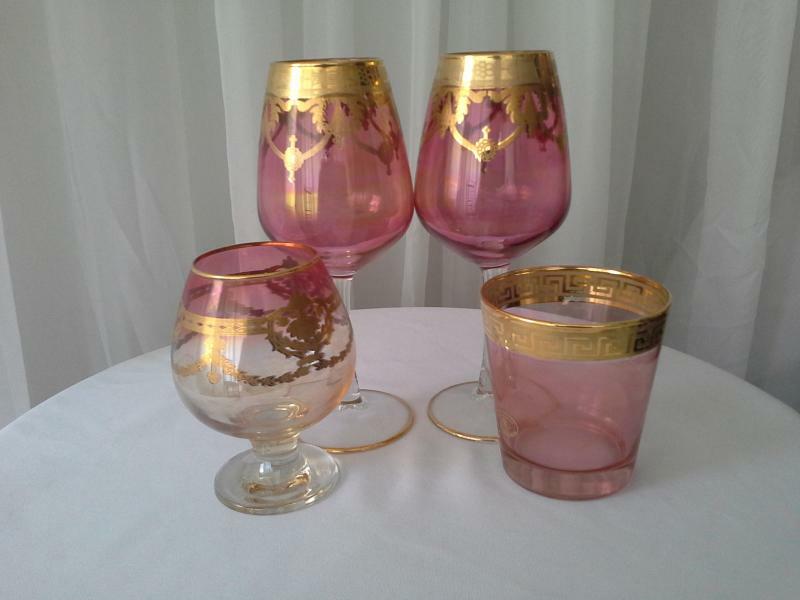 Whenever possible and appropiate, use stemware of color rathe than clear. Carry your theme or its colors through out your design. Use lighting to set the mood, candles or battery operated lights (they come in an array of colors and they can be dropped into a vase of water and will last for hours. Don't settle for tradition. You're the Designer...it's OK to break the rules... We're setting a Spectacular Table! Look through books, magazines of art, fashion, and interior design. If you see a terrific centerpiece in a Bridal Magazine, you know the kind that's really lavish and outlandish...go for it! Modest budget? Challenging, yes... but not impossible. You Must Think Outside the Box! Build your table by incorporating items from within your home. Are you a collector of butterflies..sea shells, tea pots, candles ...what's your favorite sport, tv soap, game show, hobby, city or Country? 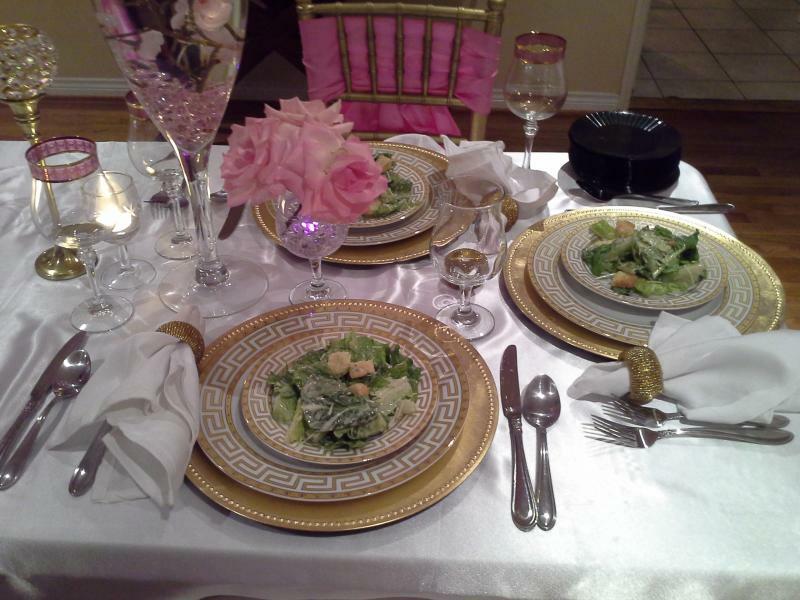 With a little imagination, research, and ingenuity, you can build a fabulous table top setting, just think Spectacular! 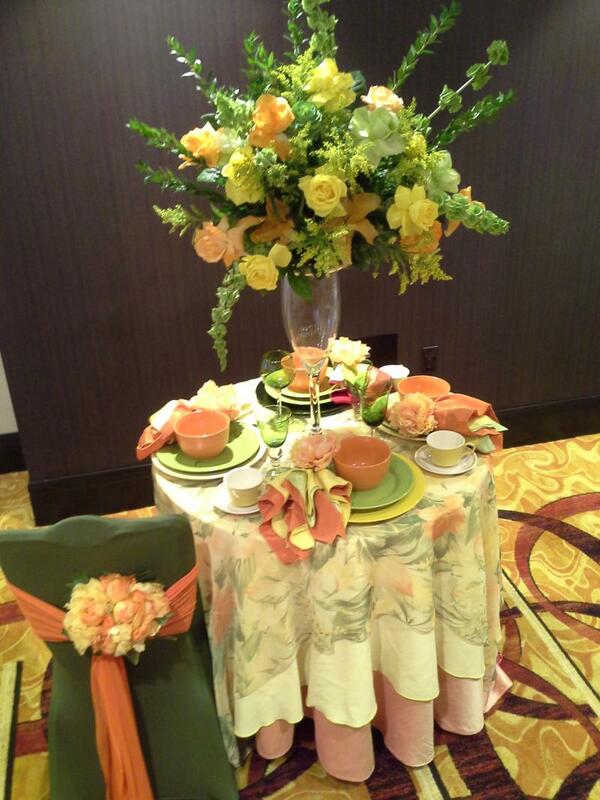 Learn how to transform your Beautiful Table Setting into a 'Spectacular Table Top Design! You will receive address after registration. 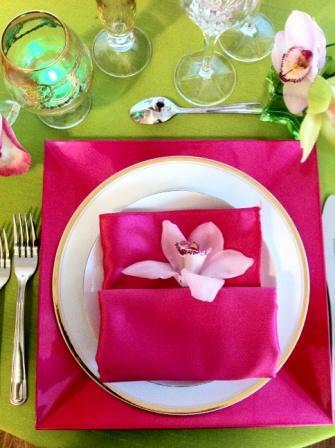 If you Love to Entertain, Host Parties & Luncheon's But...Your Table Setting does not have that Wow! Jaw Dropping Look- this class is a Must for You! It's fun and fabulous! It's filled with themes, ideas, color; dramatic table setting transformations, Learn how to Think..Shop...& Decorate like a Pro! Learn to create Ambiance | Mix Colors & Patterns| Make Napkin Rings| Find Upscale Chaircovers| Transform Your Own 'Kitchen' or 'Dining Room Chairs' into an 'Upscale Chair' | Find Exquisite Linens| Find Plate Chargers in Every Color imaginable| Create A Theme Dinner Party from Invitation to Place Card| Learn where I shop| What I'm looking for| How I Envision my Table before I Decorate it and so much more! This class is Regulary Priced at $97 but when you Register Today, You can Lock in the Summer Class Fee of $65 - Jammed Packed Tablesetting Class. Host A Table Setting Party...Win! Cash...Jewelry...Gift Cards from Home Goods, Z-Gallerie and Macy's, Nordstrom, Michael Kors and more. Linda Patterson will show you and your friends how to take your luncheon or dinner party table setting to the Next Level! 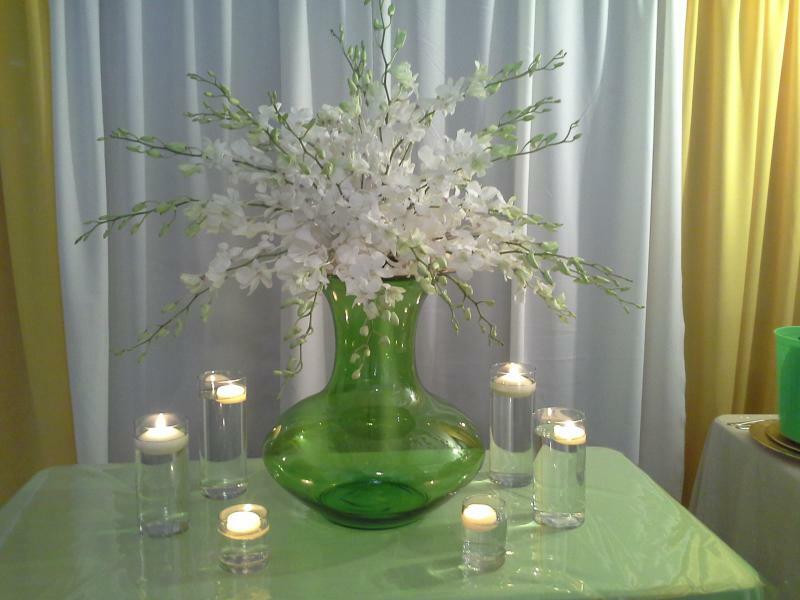 You will have a chance to select 2 to 5 themes for your Table Top Design Party. Linda will teach you how to 'dress' the table by showing you how to 'Crown' the table; and how to add 'Jewels' to the table. We bring all the 'table top accessories' with us, including wine, and desert for your guest. We encourage guest participation; we'll set the tables with ideas and suggestions from your guest, then we will enhance and build upon their ideas and suggestions; and Transform the table top designs right before their very eyes. Wheather you' and your guest are 'The Real Housewives' of Los Angeles, Beverly Hills, Malibu, or Pacific Palasades, you will leave this event with fabulous design ideas, a new palet for mixing and blending colors, ready to break tradition; learn to think and shop like an event designer, and create breathtaking and dramatic themes for your next dinner party, luncheon,or special event. Host can earn cash, jewelry, tabletop accessories, and other gifts and prizes! Book Your Tabletop Design Party today! Add Your name to our Mailing List, Click Here on our Contact Page. Receive Coupons, Tips, Tabletop Suggestions, demos, where to shop, and so much more . 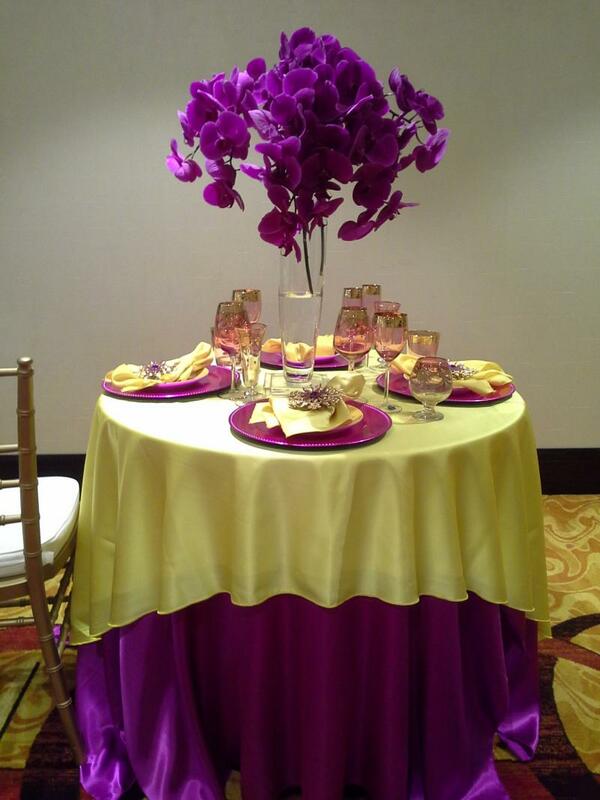 We encourage you to tell us, what is your challenge with Setting A Spectacular Table? Your questions and our suggestions may be posted on our Blog; think of ﻿ how many other party planners, and Dinner Host , we can help with your Imput! You'll have the opportunity to share your advise on our Blog! We will include your name, company, title, and if you wish; a link to your website or Blog! Free Online Napkin Design Class Coming Soon! 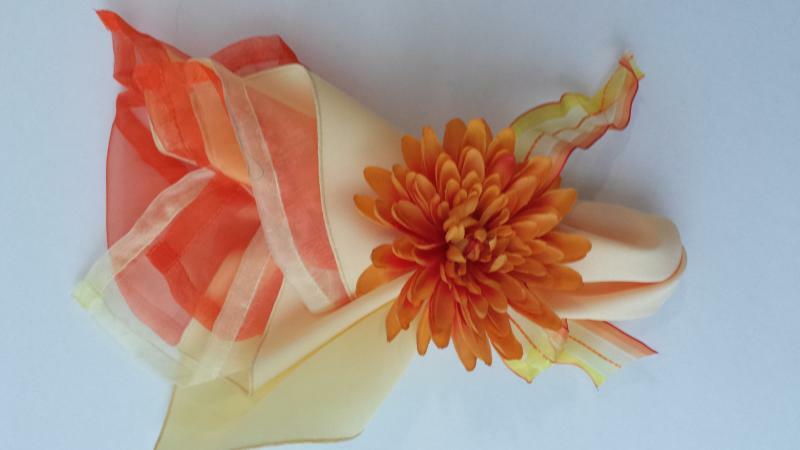 Be Sure to Watch Me Demonstrate 'How to Embellish Napkins Rings on You Tube - and please leave a comment, on whether the information was helpful to you - Thanks!